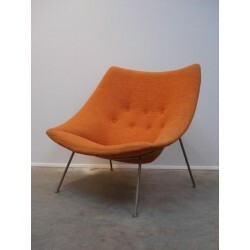 Deisgn chair "Oyster" type F157, designed in 1959 by Pierre Paulin for Artifort. The metal base is so minimal that is seems like the shell is floating. The original orange coloured upholstery is still in a good condition. 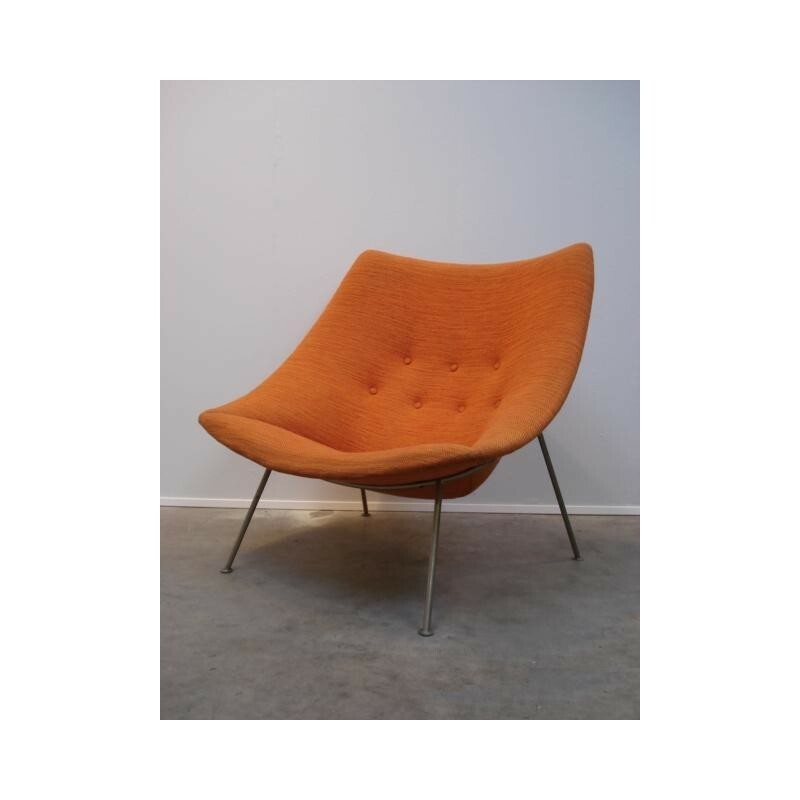 The dimensions of the chair are 85 cm high, 91 cm wide and the seatheight is 36 cm.